As you know, the CWA has chosen Kitty-cats as our theme this year and our slogan is “You are the Cat’s Meow!” The cat has occupied different roles in our society- from gods in ancient Egypt to demons in Medieval Europe, from everyday mousers to pampered pets! In the 20th century, the cat overtook the dog as the most popular pet, in many places. Did you know that New England has an unusually high proportion of cats with extra toes? This is probably due to the lasting effect of ship’s cats with extra toes that arrived with the colonists in the 17th century. All this has absolutely nothing to do with the CWA Baking Contest, except that we have chosen “Purr-fectly Delicious Banana Cupcakes” as our 2009 recipe! Cupcakes (like the cat) have enjoyed a resurgence in popularity. Once relegated to children’s parties, they now are sent as “Get Well” and “Congratulations” gifts instead of flowers. They are even served instead of cake at weddings! They don’t have to be cut and everyone gets an equal portion. A “Cup” cake in the 19th century may have been a small cake, but not necessarily so. They were so called because the ingredients were measured in cups, instead of weights. This was revolutionary because of the time saved in the kitchen. Our recipe does not use expensive ingredients and is not complicated. Shortening is used in both the batter and the frosting. The batter can be divided equally into 18 regular muffin cups. I used paper baking cups. If you are concerned about them sticking to the paper, you can spray them with cooking spray. I tried it both ways and did not see too much difference. The trick for a tasty banana cupcake is to use REALLY RIPE BANANAS! I mean the kind that are black on the outside- the kind you’d be tempted to throw away! These bananas can be mashed, measured into the 1 cup and frozen until ready to use. Just defrost and you are ready to start your baking! Some have found frosting cupcakes can be time consuming, but I have used my cake decorating open tube and swirled the frosting on quickly. The method of frosting will not be a factor in the judging. This contest is only for Grangers, their children and grandchildren and Junior Grangers. Judging will be held at the Subordinate and State levels. Subordinate judging will be at the discretion of the CWA Chairman and the winner will represent that Grange at the State Judging. 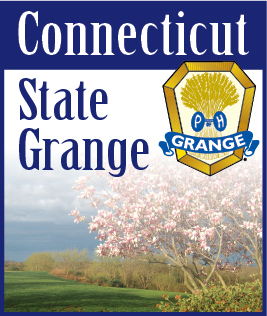 The State Judging will be held at our “Let’s Celebrate Day” on Saturday, July 25, 2009 at Good Will Grange Hall in Glastonbury. Enter 3 “Purr-fectly Delicious Banana Cupcakes” on a disposable plate. Label with name and Grange. We encourage contestants to take their entries home following the judging, unless they want them used for refreshments! Prize money will be $15.00, $10.00, and $5.00 for both Subordinate and Junior winners. The Juniors will use the same recipe and the same rules apply. Junior entries will be judged only at the State level. Be sure to label if a Junior entry. We have not had any Junior entries in the last few years! Let’s encourage these youngsters to enter this contest.